We ventured to Johor Bahru by bus today! 碳烤药材鸭 Herbal Roast Duck (RM22 nett): Apparently this place acted as consultant for the chain 店小二 Dian Xiao Er in Singapore, and we thought the roast ducks were pretty comparable, i.e. tender and juicy! 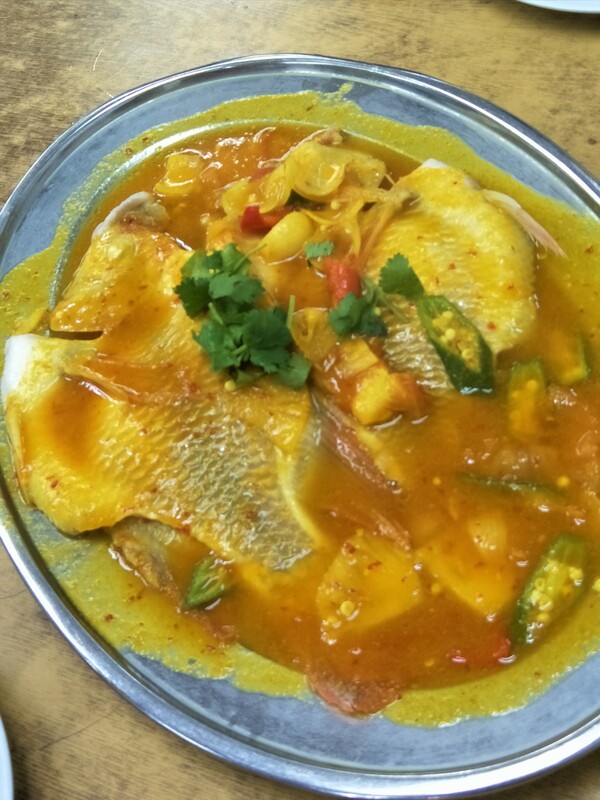 亚叁妮罗红 Assam Red Tilapia (RM30): This was the clear winner of all the items that we tried! The fish was really fresh, and the assam gravy was oh-so-addictive 😀 I think this was a Today’s Special and not in the menu. 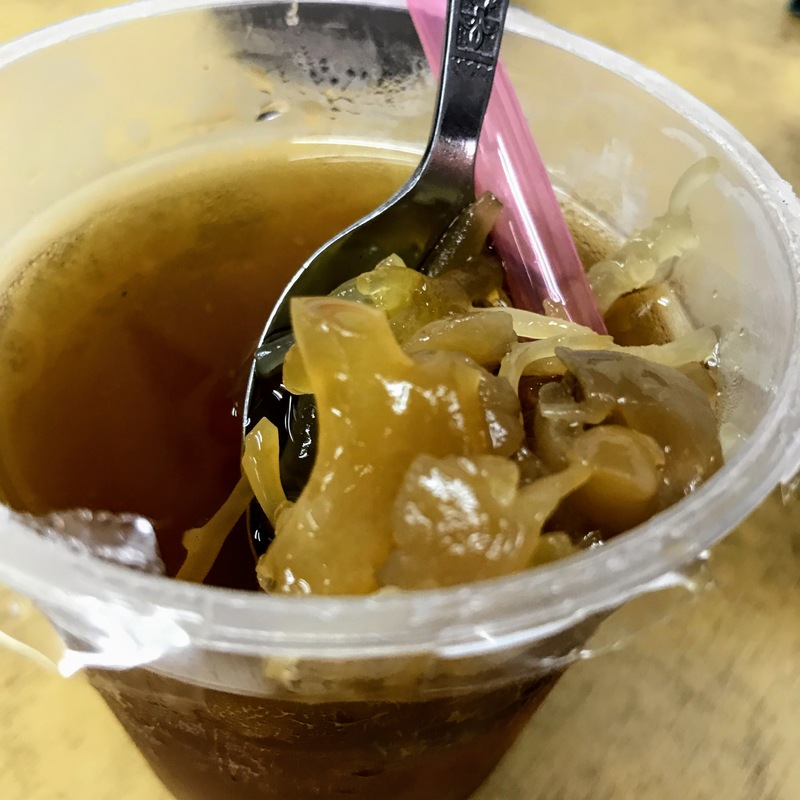 海燕窝 Sea Birdnest drink (RM6.50): We were curious about what 海燕窝 was, and it turned out to be rather crunchy and jelly-like. The drink was perhaps a bit more like 糖水 (sweet soup dessert), and it was quite nice. Note: Above prices included 6% GST. 极品和牛包 Goubuli Buns with Wagyu Filling ($3.90++ per piece): This was served cold. What a waste of the beef!! 😦 Utter disappointment for what was meant to be the highlight of the restaurant. 三鲜猪肉包 Goubuli Buns with Pork and Seafood Filling ($3++ per piece): Served lukewarm, this was definitely better than the Wagyu version. Still, we have had better buns before. 口水鸡 Steamed Chicken with Szechuan Chilli Oil ($14.80++): Only 1-chilli rating, but it was definitely too spicy for us, haha! 脆皮烧肉拼叉烧 Crackling Pork Belly & Honey Glazed Barbecued Pork ($32++ for small): The pork belly skin was really crispy, and indeed crackling when we bit into it, and the meat was quite tender. The barbecued pork paled in comparison, but was still not bad. 咸鱼茄子豆腐煲 Eggplants and Tofu in Salted Fish Sauce ($22++ for small): The pot of aromatic goodness was pretty addictive, without being overly salty. 天津栗子鸡煲 Tianjin Style Claypot Stewed Chicken with Chestnuts ($22++ for small): This was pretty average. Overall, we thought it was rather pricey, and very disappointing that the buns were so below standard. Since Kam’s Roast was also located in Pacific Plaza, we figured that we should end our foodie day with yet another Michelin-starred eatery, this time from Hong Kong. Being early evening, there was absolutely no queue! Unfortunately, unlike its Hong Kong outlet which we had tried previously, goose was not available in Singapore, so we opted for Roast Duck 甘牌烧鸭 ($19.80++ for lower quarter), ‘Toro’ Char Siu 肥浓叉烧 (22.80++), and Marinated Black Fungus with Vinegar 香醋黑木耳 ($6.80++). Gotta say that we were still as pleased as ever with the fatty char siew, with its lovely meat to fat ratio and nicely charred bits. The roast duck was drenched in sauce already, so the skin was not as crispy as we would have preferred. As for the duck meat, well, it was a little below our expectations. The black fungus was chewy with a good bite, and provided a refreshing lift to the meal. There are so many food options at Shaw Centre new wing! Decisions, decisions, and finally we decided that I Want My Noodle sounded 霸气 enough to get our first vote. We decided to share My Noodle with Double Roast ($12.50 nett), add Pebbles Dessert for $2.50 (usual price $3.90), and Fried Wings ($7.90). The noodles was quite delicious! Reminded us of the curly type of instant noodles, but a thicker version. 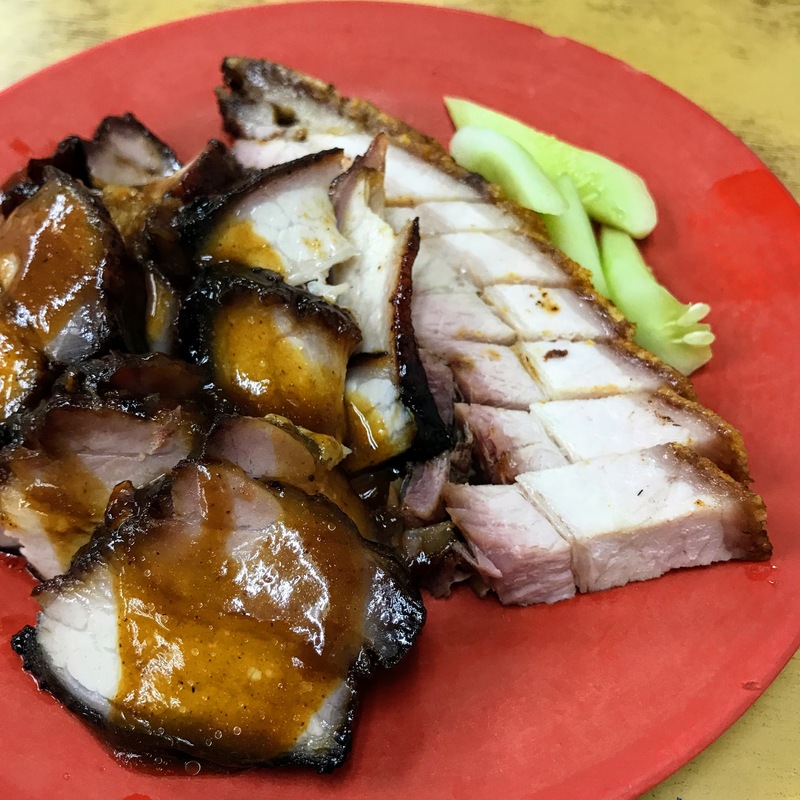 Both the char siew and sio bah were very flavourful, and we loved the well proportioned meat and fats; not too much fats, but enough for flavours. It would be perfect if the meats could be just a little bit more tender. The flourless fried wings were already well-marinated, without needing the additional sambal chilli. The meat was tender and juicy! I was a bit apprehensive to try the dessert, as it looked like it was made from mochi. Well, there was a little bit of the mochi element in it, but the flavours were oh-so-good and fragrant! We had to dust off the icing from the pebbles though, as the artificial sweetness was overpowering the natural sweetness of the sweet potato and purple potato balls. Note: only cash or NETS payment is accepted here. We were roaming around trying to find dinner at Toa Payoh Central, when we peeped through a corridor and there appeared to be a stretch of stalls hidden inside, so we thought that we should check it out! The Chinatown Claypot Rice next to Hiang Ji was the most crowded, and there were some super powerful fans blasting at the tables, and thus our dinner was decided! The platter was the first to arrive, and we were most impressed by the char siew! It had a good combination of slightly charred meat and fats, and each piece was melting in our mouths… It was divine! The roasted pork was full of crackling crispiness but a bit too fat for my liking, and the roasted duck was just average. 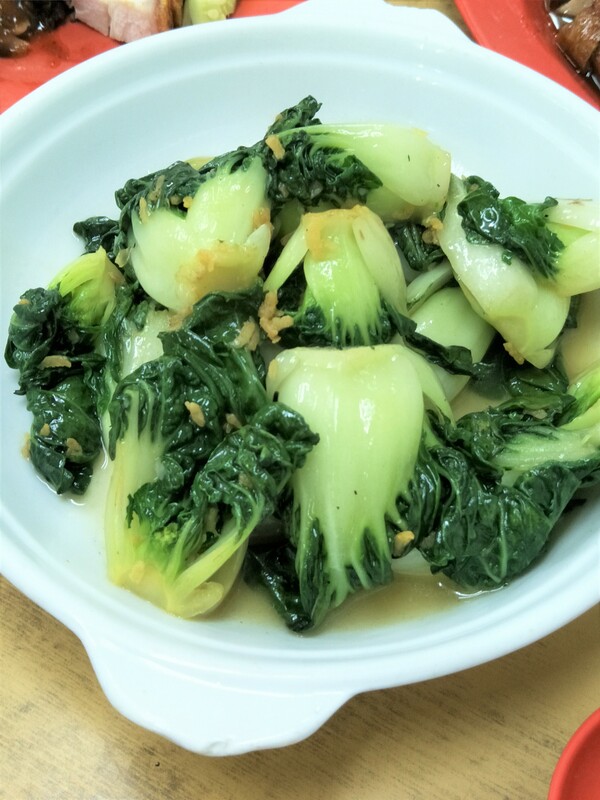 The Kailan was quite oily, and came with lots if deep fried lard 😮 Not very healthy I guess. We were told that we would need to wait for about 20 minutes for the claypot rice, and it was indeed worth the wait! The salty smell from the salted fish and Chinese sausage made our mouths water; coupled with the crispy rice stuck to the claypot (锅巴), and the amount of oil and dark soy sauce at your own control, the claypot rice was really very delicious! The chicken pieces were quite tender as well, and there were salted egg pieces, which complemented the rice very well! This was such an unexpected find! Note that wet tissue is $0.30 per piece.